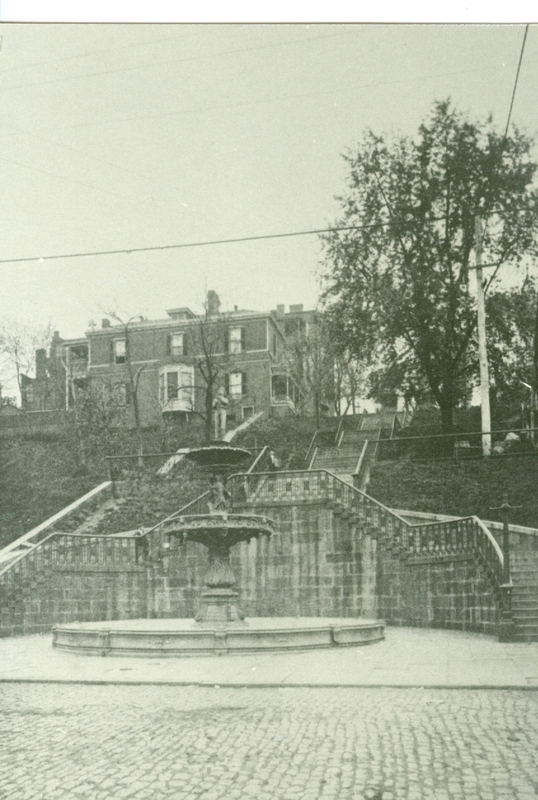 Monument Terrace was originally conceived as a city project in the early 1880s. August Forsberg, the city engineer, was asked to provide a better route for citizens to move along the steep hill between Court and Church Streets. 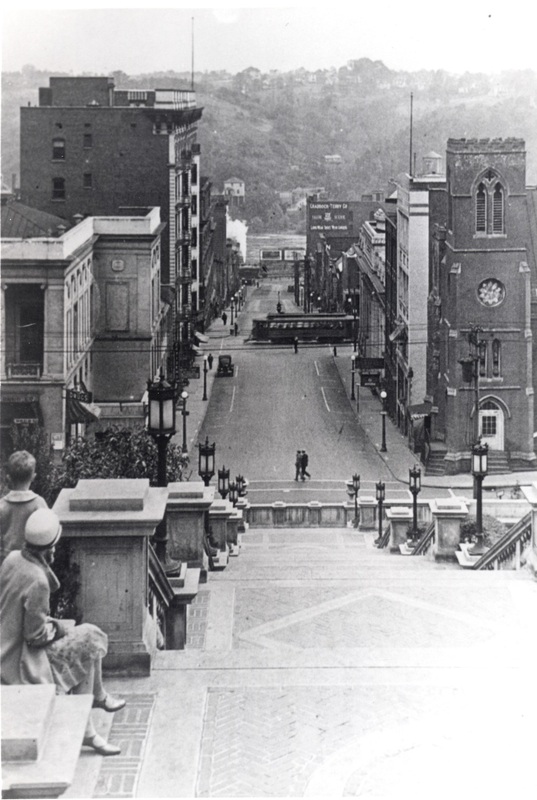 Forsberg designed a series of steps and landings from Court Street that culminated in a semicircular staircase at the intersection of Ninth and Church Streets. In the middle of the stairs he planned a simple iron fountain. On May 30, 1883, Lynchburg experienced a tragic fire in which five firemen were killed. Forsberg’s simple fountain was redesigned to add a firemen’s statue as a memorial to the men who lost their lives. This began Monument Terrace’s history of honoring those from Lynchburg who gave the ultimate sacrifice. In the early 1920s, Lynchburg decided to update Monument Terrace and honor 43 men who were killed during World War I. Designed by local architect Aubrey Chesterman, the new design called for parallel staircases to frame the statue area and to remove the Fireman’s Fountain. Ultimately, the Fountain was replaced by a bronze statue by Charles Keck, officially known as The Listening Post. Commonly referred to as The Doughboy, it depicts a typical World War I infantry soldier. The names of the 43 dead are etched behind the soldier. The statue was dedicated on November 11, 1926 “in honor of the men of Lynchburg, Virginia, who served in the World War, 1914-1918.” As evidence of life in the segregated South at that time, the names are shown on two lists: white and colored.